With the inevitable drop in temperatures, pumpkin lattes advertisements on coffee shop windows, and fall colors popping up on tree-lined streets, it could be the perfect time for an evening swim or soak in the spa. Although many pool owners close down and drain their backyard pools, keeping your pool open through fall is a fantastic way to take advantage of the brisk air and relax at the end of a long day, soaking in a heated pool or spa. -With reduced air temperatures and daylight times comes the potential for reducing your usage of chemical additives and filtration hours. -With the beautiful fall foliage comes more fallen leaves. Checking baskets once a day at minimum to maintain a clean and healthy pool is imperative. -If the temperatures plan to dip below freezing, be sure to run your filter at night to keep the pool water circulating, therefore reducing the potential for freeze damage. -Gas and solar heaters, heat pumps, and solar covers are three devices that can aid in saving you money while extending your swimming season. 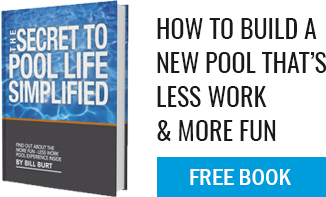 Talk to your local professional about the benefits of adding a combination of this equipment to let your pool perform best in dropping temperatures. -Although pools are fun to swim in, they also are a great way to add ambiance to an outdoor party. Rent some heaters, float some candles, build a backyard fire, and enjoy a night under the stars. All pool owners want to take advantage of their beautiful yard and by keeping your pool open later in the season, you’ll have the opportunity to spend more time enjoying and relaxing at home.